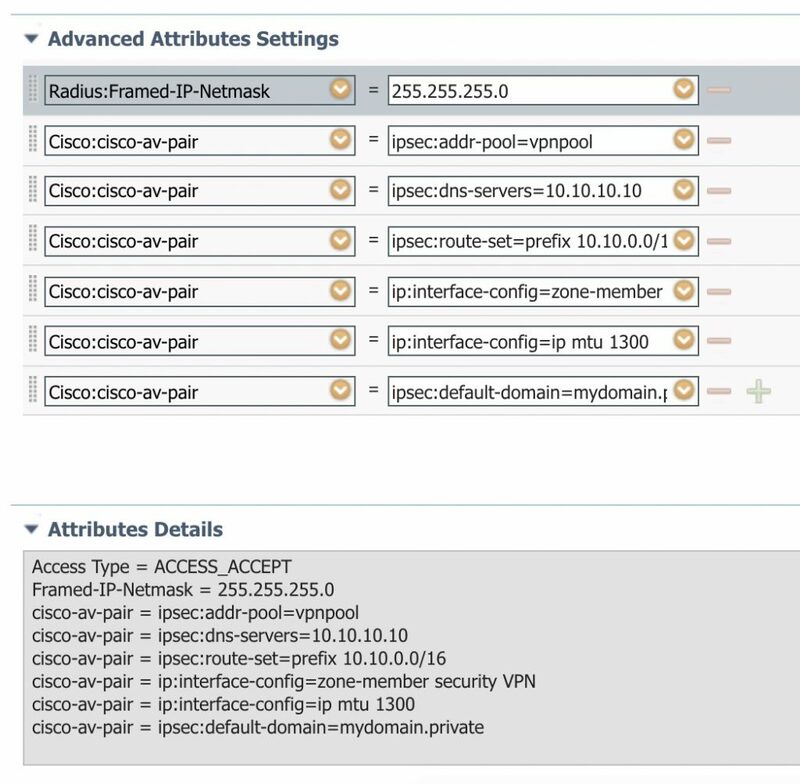 So you might have stumbled upon the FlexVPN: AnyConnect IKEv2 Remote Access with AnyConnect-EAP configuration guide which works OK for local user authentication and authorization. But if you try to follow the guide on how to configure authentication and authorization with a AAA server, it will not work! This post addresses the configuration of using AnyConnect IKEv2 for a IOS headend using ISE as AAA server for authentication and authorization. 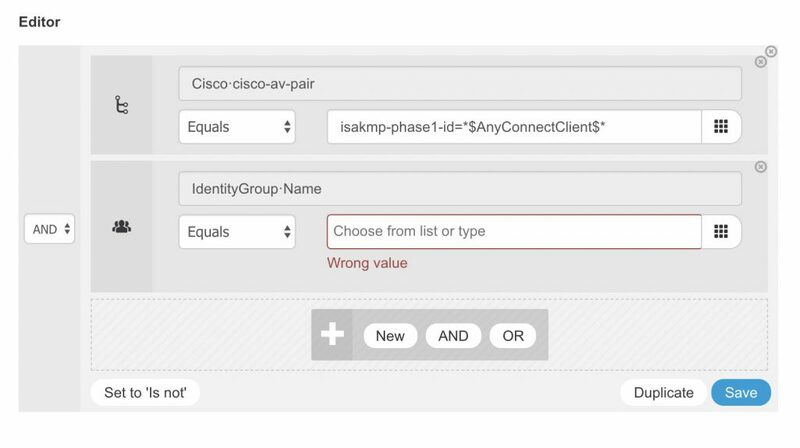 Nothing needs to be configured under this ikev2 authorization policy, BUT it MUST be configured! If you want, you can configure local attributes here, but if you have the same attributes configured on ISE, these will take preference. The final piece of configuration on the router is the virtual-template interface. That’s it for the router configuration! The AnyConnect client must also be configured. Also you’re required to generate an XML profile for the IOS headend. Below is a sample. The important part of the XML file is the under the section. A bit more relevant is to debug AAA stuff. This also verifies that we’re receiving the correct attributes from ISE and that we do not get any errors.